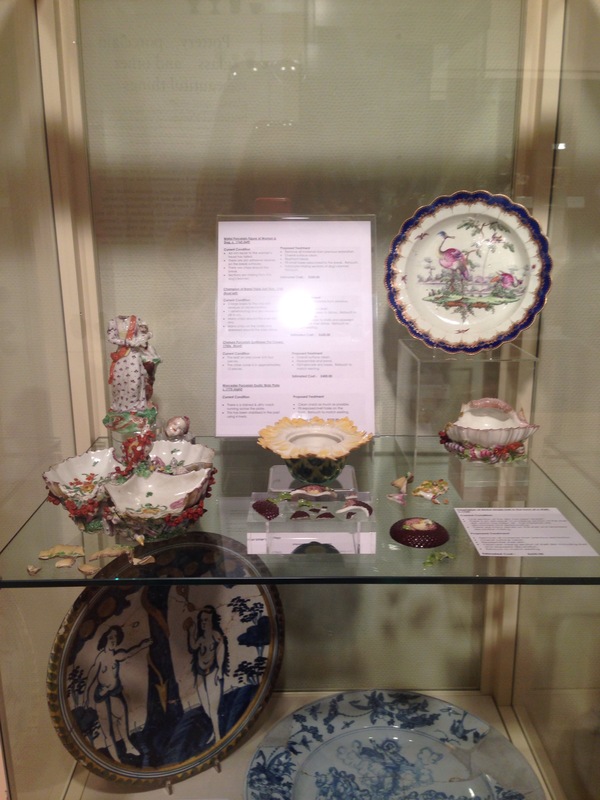 On a recent trip to Bath I was interested to see a small exhibit in the ceramics display in the Victoria Art Gallery: a case full of broken objects. The case comes at the end of the small gallery full of delftware, radiant lustreware, packs of Staffordshire dogs and more modern studio ceramics. It showcases items from the collection which are in a state of disrepair and would not normally be on display. As well as making an effective case for donations, I thought this simple display was a wonderful way of making visible the work that needs to go on behind the scenes to care for and preserve the city’s collections.